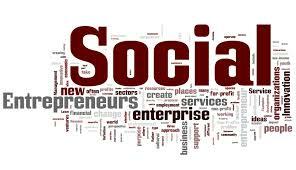 The key concepts of social entrepreneurship are innovation, market orientation and systems change.Social entrepreneurship refers to the practice of combining innovation, resourcefulness and opportunity to address critical social and environmental challenges. Social entrepreneurs focus on transforming systems and practices that are the root causes of poverty, marginalization, environmental deterioration and accompanying loss of human dignity. Each social entrepreneur presents ideas that are user-friendly, understandable, ethical, and engage widespread support in order to maximize the number of local people that will stand up, seize their idea, and implement with it. In other words, every leading social entrepreneur is a mass recruiter of local change makers—a role model proving that citizens who channel their passion into action can do almost anything. Socialite: a context, process and or set of outputs that are for public benefit. Innovation: the creation of new ideas and models that address social or environmental issues This can be manifested in three ways: a new product or service .The use of existing goods and services in new, more socially productive ways. Market orientation: the performance-driven, competitive, outlook that drives greater accountability and co-operation across sectors. Market-orientation can include anything from conventional competitive markets to the exchange of social and or environmental value.